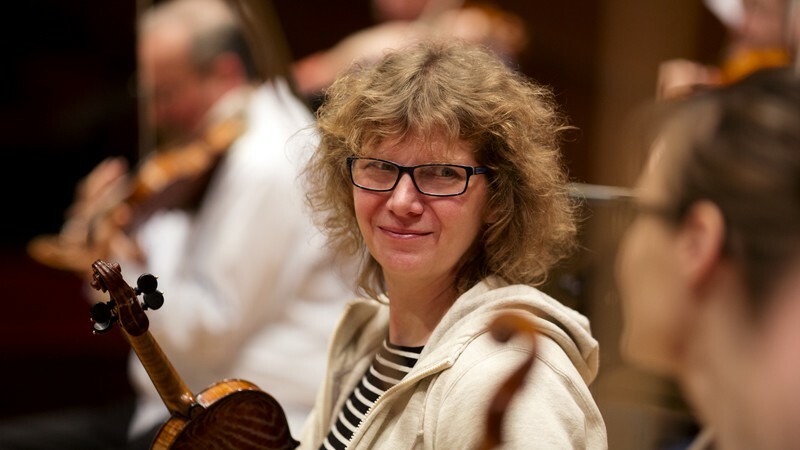 Corinna Clauser-Falk was born in Hamburg and began playing the violin at the age of six. After winning various prizes at “Jugend musiziert” she became a member of the Federal German Youth Orchestra and later with the Young German Philharmonic. She completed her musical studies in Karlsruhe with Josef Rissin. She won the first prize at the soloists’ competition there. In 1989 Corinna Clauser-Falk was engaged by the Symphonieorchester des Bayerischen Rundfunks. As early as her student years, she took a keen interest in chamber music, especially the literature for string quartet and piano trio and has given a number of concert in Germany and other parts of Europe.